Woodford County is one of 32 Illinois counties that have received grant money from the Illinois Emergency Management Agency to purchase new technology for the Emergency Operations Center in Roanoke. Kent McCanless, director of the Woodford County Emergency Management Agency(WEMA), said today that the $6,439.66 would be used to purchase a smartboard for the operations center. This smartboard can be used to help coordinate efforts during an emergency, as well as for training purposes. 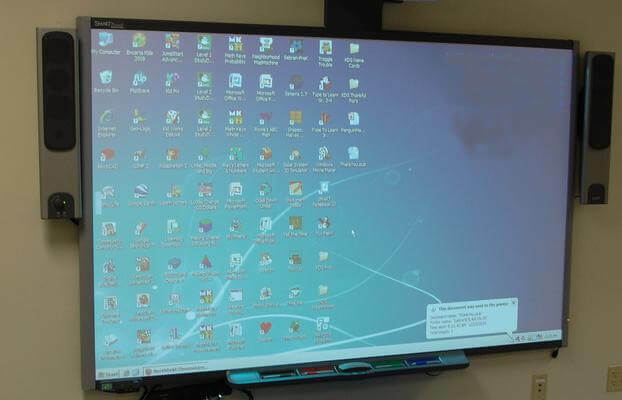 Smartboards are large computer displays that also have touchscreen capabilities that allow users to interact with the information on the screen.